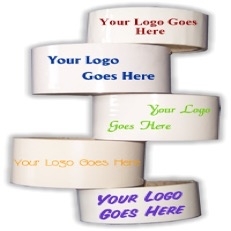 PVC is a premium packaging tape, with excellent adhesion and high quality strength. Polypropylene printable packing tape is ideal for the colder environment. Polypropylene tape is cheaper and ideal for instruction labelling – for example: FRAGILE, QC REJECT, ORGANIC, DESTINATIONS etc. Logo’s tend not to be as clean on PP as they are on PVC, as the tape is thinner. We can print up to three pantone colours on all materials in widths 12mm to 150mm and can include half tones of any colours already used. We also offer printed non-adhesive barrier films in different sizes, colours and thicknesses This is great for highlighting health and safety regulations and also areas of caution. It can also be used for advertising for promotion and outdoor events.